Forest Minister Thakur Singh Bharmauri demanded additional grant in lieu of protection of forests and maintaining environment in Northern India. Forest Minister, in a workshop on importance of Ecological Balance and Biodiversity, informed that State had imposed complete ban on felling of green trees to preserve the forest wealth and maintaining the ecological balance. He said that this had not only benefitted the Himachal Pradesh but constructive and positive impact was also seen in Northern States of the country. Expressing concern over the ill effects of the climate change Bharmauri said that various projects had been launched by the State Government to tackle the problem of degradation of environment which includes German Development Bank (KfW) funded Rs. 316 crore ambitious project being implemented in Kangra and Chamba districts. He hoped that this project would not only tackle the challenge of climate change but would also increase biodiversity besides providing employment opportunities to the locals. Detailing out the features of Technical Cooperation Project of Rs. 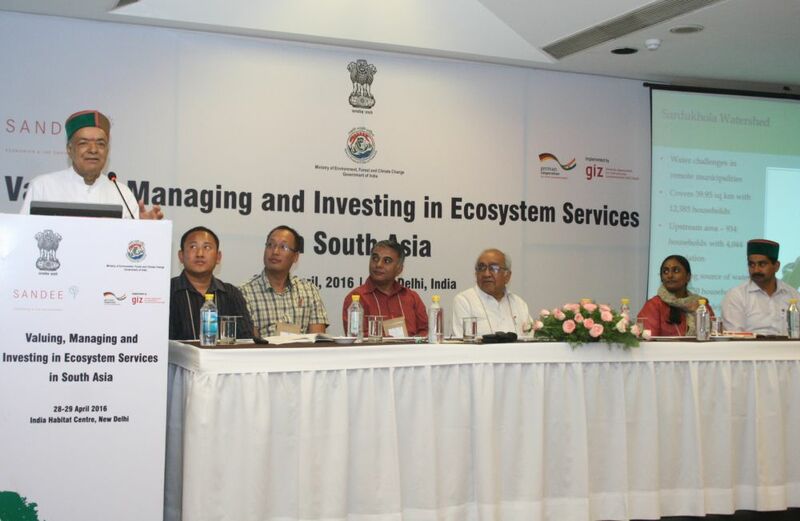 38 crore with GIZ, minister said that it would evaluate Ecosystem Services and surveillance on forests and expressed hoped that this would help in improving forest cover and further preserve the environment. Forest Minister sought cooperation of Central Government for tackling the menace of monkey and stray animals for which the State Government had already taken up various initiatives. He also raised the problem of lantana weed in the State.